It’s been a while since I’ve done a pencil study so I thought I’d sharpen my skills and do one. 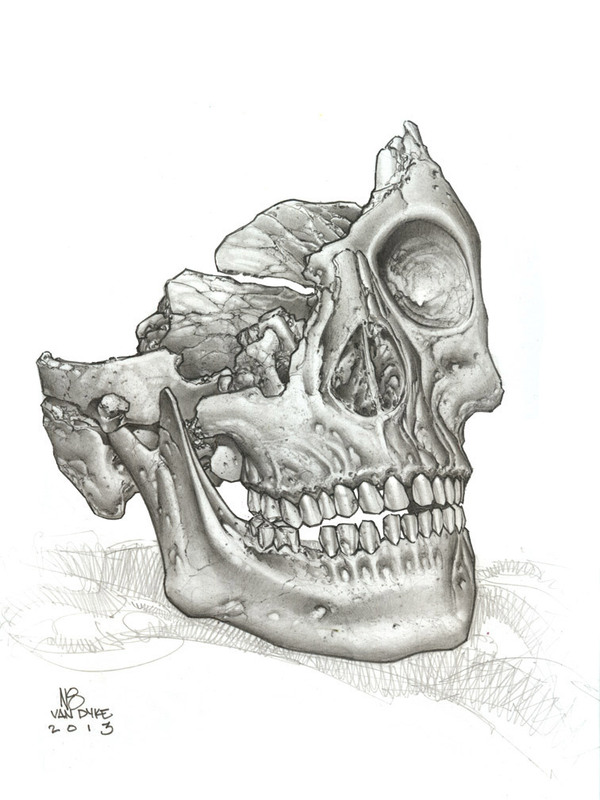 This piece is titled “Splitting Headache” and is done with a 2H pencil on 9″x12″ Bristol board. I get asked on a nearly daily basis about what pen tools I use so I like doing something as basic as this (one pencil… one piece of paper) to help show that it isn’t always the tools behind the artist but rather the artist behind the tools.